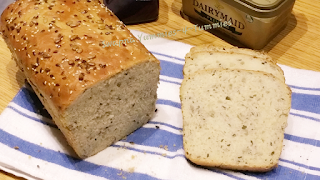 Multi seeded , Eggless, Butterless Bread loaf !! Since the day we moved abroad Bread has become a part of our diet..someway or the other we end up having bread, it might be wholewheat,multigrain ,seeded,brioche,buns, baguettes etc ,, atleast once in every couple of days.. But when the bread making becomes as simple as this it becomes hard to control u r hands ..Lol !! Cream Cornets !! Eggless !! So simple n easy to make ..it includes multi steps but not complicated at all.. Better late than never ...Lol !! 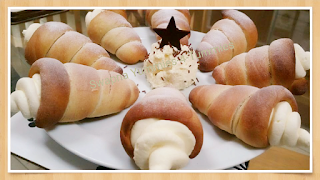 The soft n flaky bread cones filled with sweet whipped cream ..Yumm Yumm..tastes heavenily !! 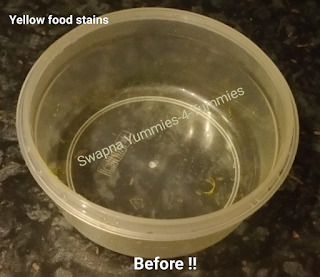 Avoid Staining of Tupperware or plasticware !! We are so addicted to storing leftovers in tupperwares ..as they are compatible, airtight n easy to handle when compared to glassware ...But thinking of all the staining n marks made by the residue's of tomato based like spaghetti n pasta , turmeric and red chilli powder based like curries n gravies makes me sick...All those red n yellow stains are tough to get rid off.. Many might be startled by my question as to,how can we avoid ?? KaramPodi !! 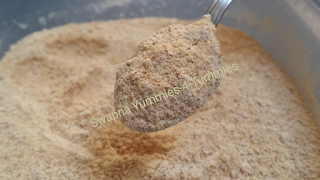 Spicy lentil powder for Idli / Dosa / Uttappam !! 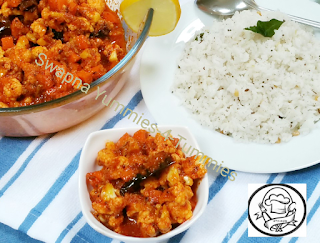 Karampodi is a perfect dip for Idli / Dosa / Uttappam and many more, with a added spoonful of ghee makes it a awesome flavorful accompainment ..
Veggiestrone Soup !! Healthy and Perfect meal by itself !! 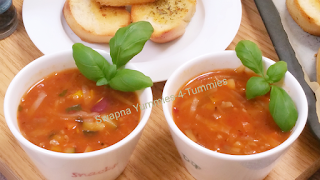 A clever way to feed your kids who are fussy to eat veggies n beans...Tastes so tasty n appetizing ..I usually never like soups that much but to my wonder I started with one and ended up having three bowls of it...Lol!! Besan Ladoo !! Without Mawa !! 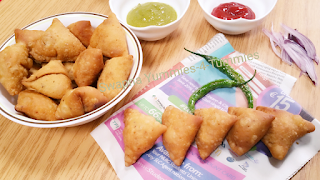 Spicy Mini Samosa !! Haldiram's Style !! Haldiram's Mini samosa's are so crisp , spicy n full of flavors and my family loves to snack on them !! As many of you are aware that i love experimenting n replicating store bought snacks , as homemade are much more healthier ..so falling into the same genre are my Mini Besan Samosa's...yumm yumm !! These taste way too good than store bought...filled with roasted besan , spices and nuts , makes them unique and standout from regular samosa's...i bet you cannot stop with one !! No matter how many you make , you will definetely fall short ..for sure !!! Moreover it has a really long shelf life ..but i wonder will they last that long ??? Hehehe !! 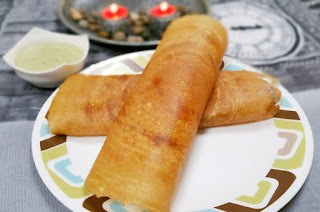 Millet (Bajra) Dosa ! Reduces affects of Migraines !!! Millet is mentioned as a Treasured Crop in the Bible !!! Its often used in bird seed mixture , but if you think its just for the birds, you're missing out on important benefits of Millet Nutrition for yourself !! So All in All a perfectly healthy n nutritious recipe for everyone !!! Cheesy Corn Pops / balls !! 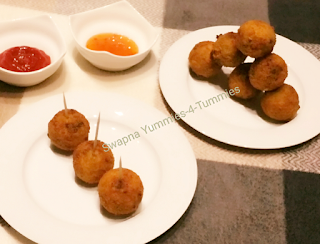 Cheesy corn balls are perfect party appetizers..Very cheesy n flavorful snack loved by one n all..
Loaded with the goodness of cheese and corn that are not only rich in protein and calcium but also provide the required amount of dietary fibre ..in my view it is a healthy n nutritious snack too !! Shahi Tukda / Tukra !!! 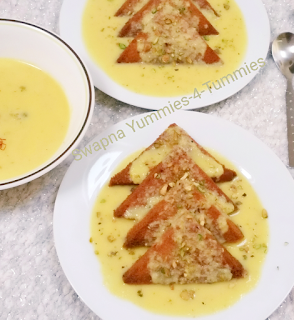 Shahi Tukda ...its literal translation means "A piece of royal food " !! 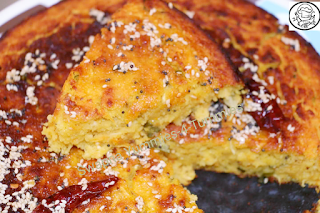 It is a Toasted bread piece with added rich flavors of creamy rabri and Saffron .. It is so flavorful , creamy n crunchy ...yumm yumm !! This is like a fusion of Rabri and double ka meetha the popular dessert from Hyderabad !!! Cassata ! Multi flavored Ice cream ! without egg / condensed milk ! 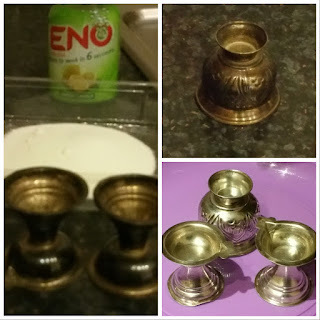 Its a Lengthy post kindly bare with me for amazing outcome !!! 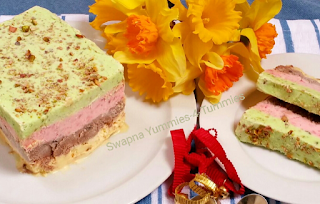 Cassata icecream is multi layered n flavored icecream...It originated from Sicily , Italy .. 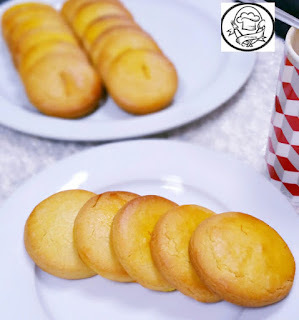 Traditionally it has a sponge cake as the base then layered with different flavored icecreams.. But from the place where i grew up eating this i.e Hyderabad ..this icecream is made n sold without the sponge.. I was around 8 yrs old when i tasted it for the first time in Asrani International hotel ..sec.bad..since then i have become an ardant fan of it ... so following that restaurant style , here is my version of it..
Masala besan poori is an authentic dish made in our households...It is packed with flavors of the ground greens and a bit sour becoz of the lime juice...This is mostly prepared for breakfast n much preferred snack during long journeys as it stays good for a couple of days !! Medu Wada !!! Crispy n Light !!! Dahi Wada !!! Cool Cool snack for hot hot summers!! Dahi wada is a perfect snack for hot summers !! Tastes so moist n cool when it slides through mouth..!! This is the simplest n easiest snack ever to make ..but making it the right way is important to yield perfect restaurant quality results !! 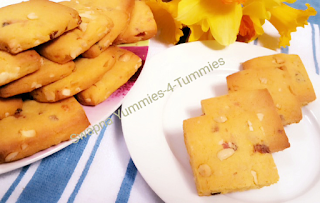 Eggless Fruit n nut Biscuits !!! Karachi Bakery style !! Fruit n nut biscuits are a definite buy whenever we visit India !! 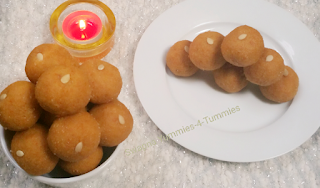 These Karachi bakery goodies are so filled with flavors of tutti frutti , cashews n raisins.. These are loved by one n all irrespective of their age !!! 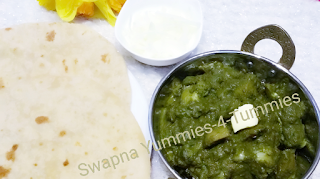 The golden fried potato n Cauliflower with the saag gravy takes it to just other level..Its like the fusion of saag n regular aloo gobhi..
A perfect main course ...goes well with any roti / Naan / rice dishes.. So comforting n earthy goodness , mild n suttle gravy ..appeals to everyone's taste!! Handvo !! Gujrati snack !! Lentil bake !! My Take.. On The Gujrati Delish Handvo...,,, I've become a die heart fan of it from the day i ate it at our farewell party in USA,, made by my dear Aunt n friend Harsha ji...but never took the initiative to attempt it...who says only pregnant woman crave, even we do... since yesterday started to crave for it n here it comes The Golden Baked Handvo!!!!!!!!! Peanut chutney !!! 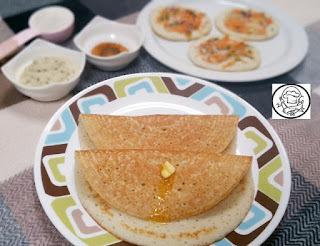 For idly/dosa !! 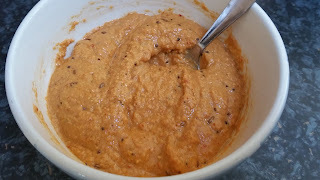 Are you bored of regular coconut chutney ..try this Peanut chutney.. It is unique and bursting with flavors.. This is a flavorful way to get in a serving of whole grains.. Whereas Sago seeds are rich in carbs n calcium ..it is the startch extracted from palm trees..
What could be a better way to provide them, than this !!! 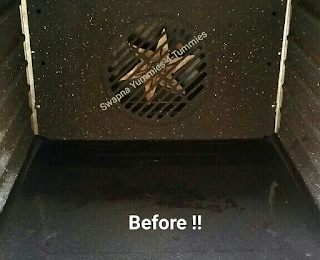 Cleaning the Oven / Cooker !! Eco friendly way !! Living abroad has its own pro's n cons like any other ....Once you start living away you realise that you don't have any additional help might be from maids, servants ,parents or in laws...u need to do all the chores by yourself..
Everynight i make sure that I clean up everything n get to sleep but oven is always laid behind..
Today was my day to clean it ..as it was big time since i did..
After all the baking we do it tends to become sticky n greasy...so here's a eco friendly n unharmful way of cleaning ..many might be aware but sharing it again !! Giving your body that daily amont of Nutrition is really important so,apart from all the other dishes make this Multigrain Pesto braid that provides a good source of dietary fibre along with other vitamins n minerals.. 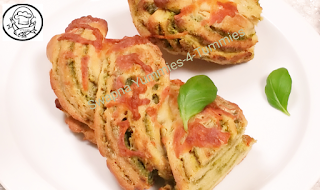 This braid is so versatile,easy to make,contains multigrain wholewheat and the pesto filling is full of flavors loaded with garlic n pinenuts ...Don't think anything else could be as tasty, flavorful n healthy as this!! 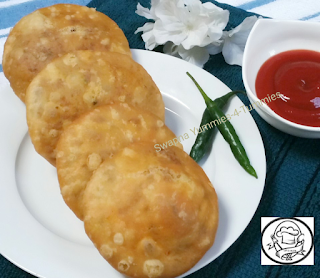 After the moongdal namkeen its yet another moongdal delicacy , the traditional khasta kachori..
Moongdal Namkeen !!! Not Haldiram's!!! 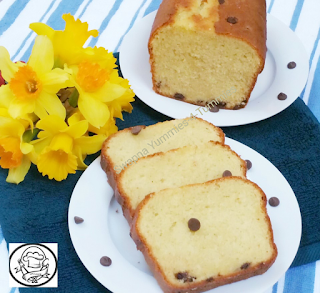 Protein packed Milk bread !!! Best Bread for kids !!! Bombay / Karachi halwa ...easiest way ever !! Really excited to share this post as it is my first hundredth post...Yay !! Made it to 100!! with all u r support n encouragement..
Punjabi Chandu Halwai Karachiwala is a well known Halwai shop in Mumbai.It was originally established in Karachi in 1896. 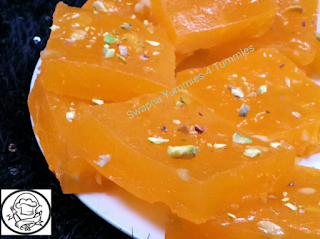 Its owners moved to Mumbai after the partition of India.Karachi halwa , also known as Bombay halwa was popularized by Halwai's moving from Karachi.. I prepared it using cornflour which made my job easier than ever !!! Eno expired Clean Silver !! Time to clean the rest too !!! Khajur / Dates n Nuts roll !!! Khajur roll was in my to do list since long but never attemped ..i know lazy me !!! Atlast i tried it yesterday n it surprised me to a great extent ..was really skeptical about the taste ...never realised that dates n nuts would go so well together...pity me !! 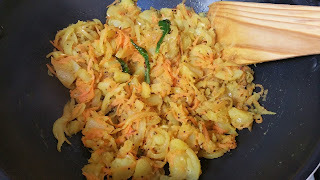 Carrot Cauliflower Overnight Pickle !! Today all of a sudden I was craving for some spicy n tangy pickle ... As a south Indian always loved to have pickles...might be the instant veggie ones or the traditional Mango ones..
Aloo onion Curry for Dosa !!! 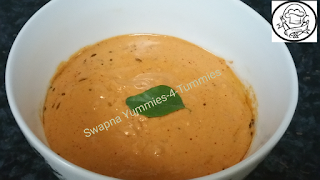 Red Chutney For Dosa !! It can be done a jiffy with just few ingredients off the pantry !! 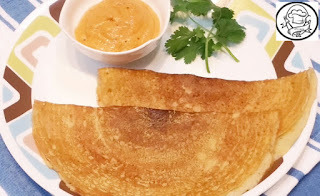 Fermentation is the key for a perfect restaurant quality dosa. 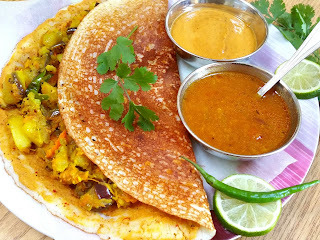 Golden ghee roasted crispy dosa with the combination of aloo curry , sambhar and red chutney yielded exactly the same! Whole wheat Tutti Frutti bread !!! Eggless !!! Butterless !! Its hard to make out that it is wholewheat.. It is so moist n flavorful that original ones definetely fall behind...!!! 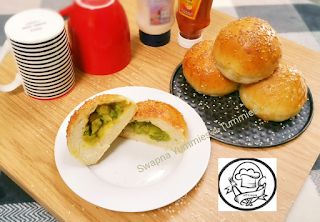 Batata Pav / Potato stuffed buns !!! One amongst the other plus factors of Mumbai is Vada pav..i might sound silly but trust me .. I loved eating Vada pav's more than anything while our stay in Mumbai.. 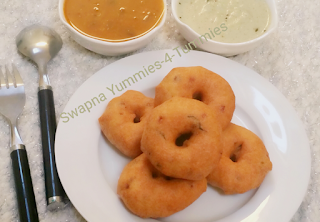 But making them at home from scratch is a multi step process.. Making the vada's then the pav and the chutneys..phew !! 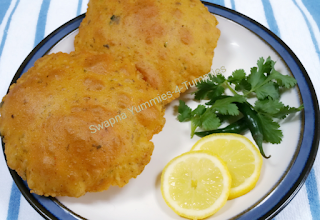 time consuming.. Then i came up with a thought why not stuff the vada inside the pav n bake ...healthy & can be done in no time..moreover no deep frying.. So here is my very own Batata pav !!! Aka Potato stuffed buns !!! 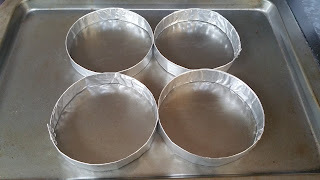 Aluminium foil rings for buns making !!! All the yeast proofed bakes spread and rise a lot but to ensure that they turn out in perfect shapes these foil rings help out a lot..
Spicy Brinjal Rice !!! 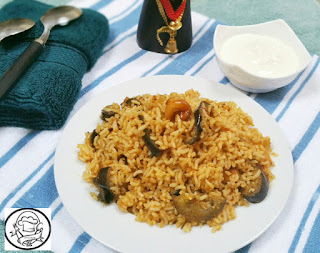 Vangi rice with a twist !!! Right from Bhaghara Baigan to Vangi bhaat,what ever made using Brinjals always turns out to be a super hit...!! I wanted to try something other than regular Vangi bhaath so i came up with this Spicy n Flavorful ...Masale daar ...Brinjal rice !!! 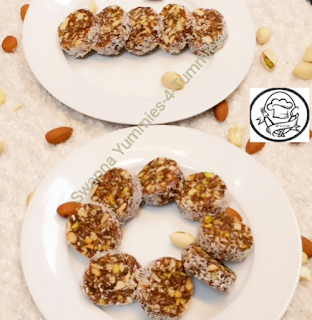 It is not only easy to make but also so addictive and bursting with flavors ...make it once you will definetely make it on regular basis...Trust me !!! 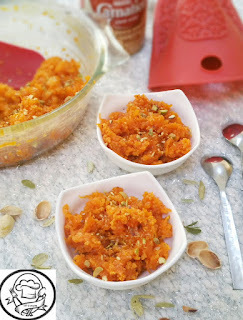 Gajar ka Halwa !! Just in 20 mins !! Made in Microwave !! I think i mentioned earlier a couple of times that I love sweets ..but this time it was my kids request for Gajar ka halwa.. Traditionally its made using mawa , gajar , sugar and lots n lots of ghee ...not only that it is loaded with fat but also its time consuming, moreover lots of stirring n cooking oriented.. But guess what, i made this in Microwave, in hardly 20 mins using a tbsp of butter just to satisfy me mentally !! Lol!! Ground rice also known as rice rawa or Biyyapu rawa( telugu )...It is nothing but semolina kind ,made with rice instead of wheat.. 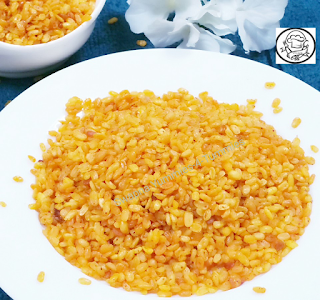 Ground rice is readily available in market but not that difficult to make at home as well..
No matter how many dishes you make, but at times all you need is simple n comforting food!! Hide N Seek Biscuits !!! Easiest way out !! !